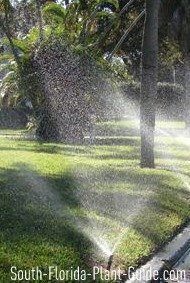 Watering is a challenging issue for South Florida homeowners. Trees, palms, shrubs and flowers all need a satisfying, regular drink. Some communities have a fixed irrigation schedule, and not always a good one. And "reliable" sources often give conflicting info on the subject. 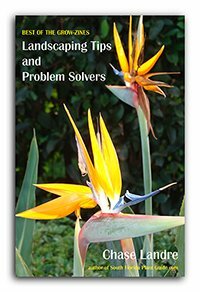 One of the biggest challenges of all - at least for those of us who design landscapes or grow plants for a living - is convincing many homeowners that they must do it at all. 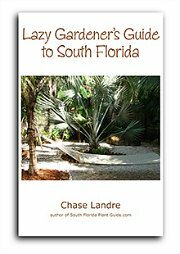 Even xeriscaping, or planting Florida native (or "Florida friendly") plants, is not a free ticket to neverwater land. It doesn't mean NO irrigation is needed. 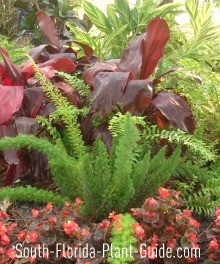 It means using drought-tolerant plants that require it less often. We do have dry spells - especially around April-May and October. Sometimes the summer rainy season never rains. For a truly low maintenance landscape, good irrigation is key. Plants need a nice long drink. Because our soil is sandy it takes a while to become saturated. Watch how the rain rolls right off the soil after a dry spell. Sand acts as a moisture barrier. Haphazard watering is the biggest waste of water there is. Do it only now and then - or not long enough for plants to quench their thirst - and you'll create a stress situation, making them weak and susceptible to pests and disease. Short too-frequent irrigating encourages shallow root systems, bad for plants and turf grasses. 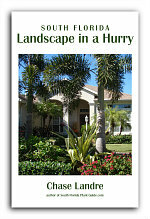 Short infrequent bursts - or depending just on Mother Nature alone - is a landscape plant's worst nightmare. During the hottest times of year, the general rule of thumb is to run your irrigation 2 times a week (or even 3 times a week if it's been very dry) unless we've had rain. In winter once a week on average should be sufficient. Things don't grow much when the weather is cold, therefore they require water less often than in the high-energy warm months. Mulch - it's a beautiful thing...great for helping soil retain moisture AND for preventing weed growth. Hortasorb® - a moisture-retaining additive to place in the hole when you plant. (You must pre-swell the little Hortasorb "crystals" before using.) Every time you run your irrigation, the Hortasorb is rehydrated. Morning is best, since irrigating at night promotes fungus, and during midday you'll lose more to evaporation. Restrictions are in place everywhere - usually limiting homeowners to two days per week during limited hours. What if the irrigation schedule is out of your control? 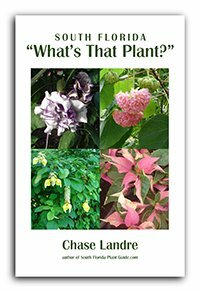 Choose plants that like the schedule if you can. A good irrigation system should have a rain gauge - especially important for snowbirds who aren't here year round - to tell the system when NOT to come on. This depends on your irrigation system. If you use overhead sprinklers for lawn and gardens, run the sprinklers about an hour. Shrub spray heads concentrate more to a single area, so you won't need to run them as long - probably 20 minutes at a time. How long to run drip emitters or soaker hoses depends on the area and the type of plants there. If you know your plants' needs, you can experiment with times and check the soil for moisture level. If using a hand-held hose, lay the hose at the base of the plant and turn it on to a slow force. Leave it there 5 minutes or until the area is well soaked. Then move it to the next area. Overhead sprinklers spray over long distances and are great for lawns. You can also irrigate your gardens and lawn both at the same time with this type of sprinkler system. Low stationary spray heads work at the base of the plants for hedges or specimens, or spray over a small garden area. Drip emitter systems emit one drop at a time. Very little is lost to evaporation. Microjet emitters with spray misters are another low-pressure option growing in popularity. 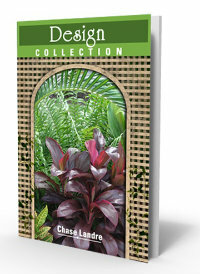 These are excellent for container plants and small garden areas. Because the spray is right at the soil level, you'll keep evaporation to a minimum and avoid problems on plants that don't like wet leaves. A combination of high- and low-pressure is often the ideal irrigation design. Using a hand-held or soaker hose. Soakers can be placed on a timer to make life easier. Having an irrigation system installed to match your landscaping is best - not as expensive as you might think, and the most convenient method of maintaining a healthy lawn and garden. Not sure if your plants are getting enough? After an irrigation cycle, come out about 6 to 8 inches from the base of a plant and dig down a shovel-depth into the soil. Place your hand into the hole - is the soil moist? Or dry as a bone? Thirsty plants may display leaf wilt or curling, an overall grayish tint to the leaf color, and/or the tips of leaves are brown and dry. For lawns, the grass blades fold up lengthwise, the grass has a gray tint, and/or footprints you've made stay visible for a long time. Shady garden beds don't dry out as fast as sunny spots, so you may have to adjust your system accordingly. And some yards have sections with slow drainage where a storm can cause standing water or soggy soil. 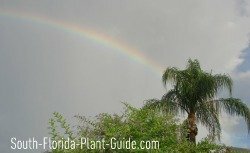 Recycled water, a lower quality Florida irrigation substitute, has been shown to have higher levels of salt - meaning you may need to use only salt-tolerant plants. 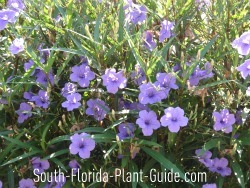 See the Salt Tolerant Plant List.